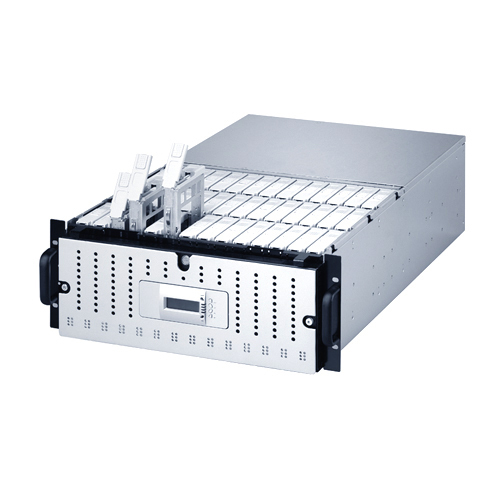 4U 42-bay 126TB dual channel SAS system, expandable to 126 bays or 378TB with additional JBOD. 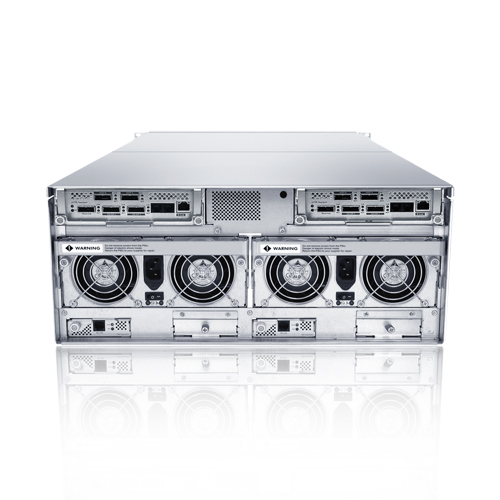 Redundant Active / Active-Failover RAID controllers provides extra redundancy and availability. 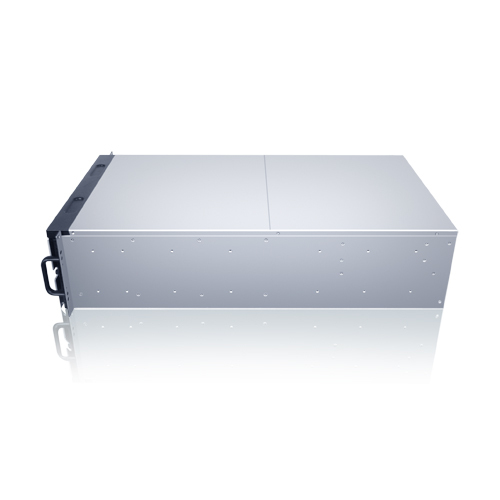 Supports up to RAID 0,1,10,3, 5, 6, 30, 50, and 60.
accessed by two servers, ensuring continuous uptime in a production environment. 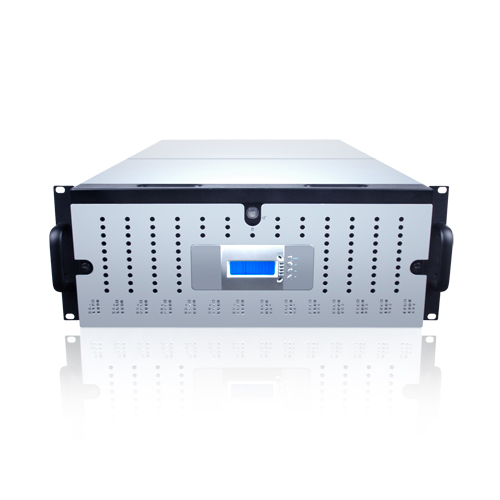 can be used with additional mux board.